You will find Scotland’s beautiful capital city of Edinburgh nestled into the coast and just before you fall into the entranceway to the highlands; where countless loch’s, open roads and breathtaking scenery await you. Edinburgh is a compact city, a perfect city for walking and exploring. Its pebbled pathways, haunted old buildings and of course its impressive castle sits high upon a hill and looms over the city all give an atmospheric and charming view. It’s hard to imagine Edinburgh castle has been protecting the city for nearly 1000 years. Long before the words ‘gluten free’ existed! I love Edinburgh, it’s a city full of atmosphere, unpretentious independent restaurants and plenty of hidden lanes and shops to explore. I had little expectation about the gluten free food on offer in Edinburgh. However, I always hope a city will offer me more gluten free choices or present me with a gluten free dish I have not devoured before. I also have to admit that Scottish food filled me with thoughts of deep fried chocolate bars and other unusual and unhealthy combinations (sorry Scotland), but never one to generalise I hoped deep down the city would deliver a culinary surprise! I am pleased to say I was not disappointed, Edinburgh blessed my gluten free taste buds and left me feeling like there was still so many more places to discover and eat in. The city is split into the old town and the new town. Each offer a range of amazing gluten free places to eat, the old town has plenty of independent coffee shops and restaurants and the new town is plagued with chain coffee shops and well-known restaurants. Both have a buzzy, city atmosphere and offer something different. Breakfast or ‘brekkie’ as the Scots like to call it, is, of course, the most important meal of the day and you will be able to happily start your day eating in one of these super tasty places. Le Cafe Bleu – A very quirky and family run cafe. Conveniently located near the castle and with a menu offering stacks of gluten free options you will be suitably impressed. Pancakes with fresh fruit, English muffins with smoked salmon and amazing hot chocolate await your delectation. The friendly staff are knowledgeable about their gluten free offerings too. Arrive early as space is limited. Urban Angel – Any food place with Angel in the name has my interest! Cobbled stone flooring, large chunky wooden tables, and low lighting make this place a very cool place to start your day. The menu is impressive, with homemade granola, haricot beans with poached eggs and french toast will make your gluten free breakfast decision a tough one. Super friendly staff and great gluten free tasting food. These two lovely gems will also keep you full until lunchtime. The Edinburgh Larder, 15 Blackfriars for simple gluten free toast and great coffee or for food on the run, including gluten free sausages, give BBL, 65 pleasance a try. Edinburgh is a cold, windy city! You will naturally walk and wonder around the city in a kind of fun, brisk and fresh-faced fashion! It makes me look forward to warming up with a delicious gluten free lunch! The below options should be a good start. The Educated Flea – I love a good name! Although not a 100% gluten free restaurant, the staff were friendly and knowledgeable and prepared to run to and from the kitchen to ask questions. Great lunchtime set menu options and the food was fresh, plentiful and they even have gluten free beer on offer too. A slightly upscale lunch option at an affordable price. Lovely, relaxed décor too. Earthy – I love a place that gives me the anticipation of healthy food before I have even opened the door! Do not be fooled, Earthy offers pasta, tortilla chips and gluten free bread galore so you can choose to be a ‘salad’ kind of eater or a ‘carb’ craver! Super fresh food and with three locations across the city, you are never too far away from one. You can even buy food to take away and cook, which is a bonus if you plan on staying a while. With so many lunch options in the city, I had to share a couple more with you. David Bann, 56-58 St Mary’s Street for a vegetarian menu with flair and incredible taste or for when carb cravings are calling check out Mamma’s Pizza, 28-30 Grassmarket for affordable homemade gluten free pizza! Bellissimo. Wrap up warm and get ready to walk the cobbled streets of Edinburgh in style. Dinner options are in abundant supply and will you be able to devour warm, hot and well cooked gluten free food. New Chapter Restaurant – Swish red brick, low lighting and a spacious seating area all give this dinner gem and great feel. Fresh, locally sourced ingredients and a great selection of gluten free dishes kept me very happy! The fish dish I had was exceptional and staff we more than happy to answer any gluten free inspired questions. Aizle – With dessert options such as homemade chocolate ice cream with bee pollen and only using ingredients that are fresh and in season, this restaurant is constantly voted as the best place to eat dinner in Edinburgh. With gluten free catered for on the 5 course tasting menu and the chance to try some weird and wonderful food combinations, you will not forget your meal at Aizle. Romantic setting, comfortable atmosphere and extremely good wine! Not cheap, but definitely worth it! Book ahead and let them know your gluten free too. If there is a place offering ‘the best’ gluten free afternoon tea than I am always going to check it out and give my opinion! The below two really did live up to expectations, maybe not the best I have had, but definitely close – very close! The Colonnades, Parliament Sq, Royal Mile – Super posh afternoon gluten free tea in a ‘fine’ setting. It really was close to being the best I have ever tasted. Book early! Palm Court, The Balmoral, 1 Princes St – Dark panelled walls, beautiful chandeliers and smartly dressed staff make the entire afternoon tea a traditional experience. A great gluten free selection of fancies made this a divine gluten free afternoon tea treat. Edinburgh offered my rumbling stomach some awesome gluten free restaurants and I was so happy to find that nearly all of them were independent too. Take time to stroll the streets full of history, marvel at the architecture and of course feel welcomed by the friendly locals too. 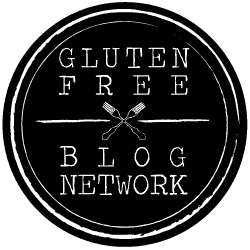 Gluten free eating just got easy and educational! Wrap up and embrace gluten free Edinburgh!